Western Sydney University’s commercial featuring graduate Deng Thiak Adut, has won the Film Grand Prix and Music Grand Prix at the Spikes Asia Awards held in Singapore. 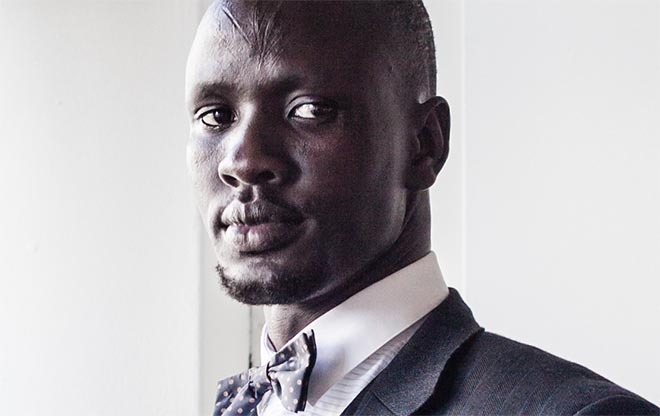 From a child soldier in the Sudanese Civil war to becoming a leading member of the Sudanese community and refugee lawyer in the suburbs of Western Sydney, Deng Adut’s story is a phenomenal achievement of one man’s dedication to helping others less fortunate in the face of great adversity. Dang Adut’s story sits alongside that of Melissa Chiu and Jay Manley in the Western Sydney University Unlimited campaign focused on unlocking human potential. The three commercials together celebrate triumph against the odds; winning when the mainstream says it’s impossible; victory that is sweeter because it’s tougher to achieve. The campaign links viewers to the Western Sydney University Unlimited site: westernsydney.edu.au/unlimited where they can explore options for study and career. In 1985, the Sudanese government began destroying villages eventually leading to the rise of the People’s Liberation Army. Two years later, six-year old Deng Thiak Adut was taken away from his family’s banana farm in South Sudan and conscripted into the Army. After undergoing military training, several years of army service and witnessing numerous atrocities, Deng was still a boy when he was shot in the back while running through a village. A further two years later, a chance meeting led to Deng reuniting with his brother who helped smuggle him out of the country by hiding him in a corn sack on the back of a truck. The two brothers befriended an Australian family and eventually arrived as refugees in 1998. After working at a local service station to learn English, Deng enrolled at TAFE and completed his Advanced Diploma in Accounting before deciding to study law. In 2005 he enrolled in a Bachelor of Laws at Western Sydney University and became the first person in his family to graduate with a law degree. Deng now works as a lawyer in Blacktown, where he is determined to ensure that other Sudanese refugees have the legal advice and support they need before entering the court system. Museum director, curator and author, Melissa Chiu is recognised as one of the world’s leading authorities on modern and contemporary Asian art. Her story here begins with the evacuation of Darwin in 1975 in the wake of Cyclone Tracey. After graduating with a Bachelor of Arts from Western Sydney University, Melissa lived in New York for 13 years, where she ran the Asia Society and was Vice President of its Global Arts Programs. She is now the Director of the Hirshhorn Museum and Sculpture Garden in Washington, DC. As a specialist in connecting artists and museums in the Asia-Pacific region with international institutions, Melissa embodies the global mindset and connectivity that Western Sydney University holds true. In 2012, as an undergraduate student in Engineering (Robotics and Mechatronics), Jay Manley led the University’s inaugural solar car team in the prestigious World Solar Car Challenge. Starting with just $500 and the support of two fellow students, Jay grew the team to more than 20 students with a budget of $300,000 by the time race day came around. That same determination to succeed has taken Jay from Western Sydney to Silicon Valley for a dream job as an Engineering Project Manager for Tesla Motors. The Western Sydney University Unlimited campaign was developed at VCD + WE.Collective by executive creative director George Betsis, producer Mandy Payne, project manager Tanja Perl, working with Western Sydney University VP People and Advancement Angelo Courtis. Filming was shot by director Jae Morrison via Finch with producer Camilla Dehnert, executive producer Rob Galluzzo, managing director/executive producer Corey Esse, director of photography Ari Wegner, art director (Deng & Melissa) Annie Beauchamp, art director (Jay) Neville Stevenson, wardrobe stylist (Deng & Melissa) Brenda Hayward. Editor was Jo Scott at The Butchery. Visual effects were produced at Beryl by lead Flame artist Andy Timms, Flame artist Stu Bedford, colourist Pete Ritchie, VFX producer Hannah Walker, with 3D artist Suraj Nayak at The Rig. Sound was designed at The Coopers. Music, “Do You Remember”, was composed and performed by Jarryd James, via Sony Music Entertainment Australia.